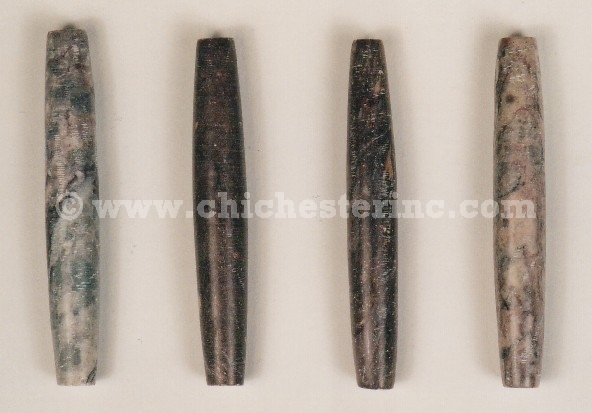 This hairpipe is made from mottled stone that ranges from various shades of gray to various shades of brown. The holes are not as big as the ones in our regular bone hairpipe. Click HERE for our complete line of hairpipe.